A lack of bank capital was a major cause of the financial crisis, because under-capitalised banks could not absorb losses and had to be bailed out. Since then, regulators have lifted the minimum levels of capital required by a modest amount from a very low base. But today, banks are once again lobbying to weaken the new rules on capital. Surprisingly, regulators seem open to this idea, and have put several pieces of relevant legislation up for review. Bank capital is topical again. In this multimedia dossier – the fourth in our “Understanding Finance” series – you can learn what bank capital is and why the rules about bank capital are controversial. The first part explains why banks need capital, how it is regulated, and why bankers like to operate with less capital than society needs them to have. The second part looks at some of the controversies: how much capital banks should have, how this affects the real economy, and how the banking lobby tries to argue for less capital. Is the ‘regulatory pendulum’ swinging back? Why does it matter to citizens? Bank capital protects citizens from banking crises. The global financial crisis showed vividly that undercapitalised, systemically important banks are a huge threat to financial stability and the economy. In the heat of the 2008 crisis, the financial system seized up because of fears that banks had insufficient capital to absorb their losses and might therefore be insolvent. A liquidity and funding freeze took hold, triggering desperate ‘fire sales’ of assets below their real value, which multiplied banks’ losses and spread panic through the whole financial system. 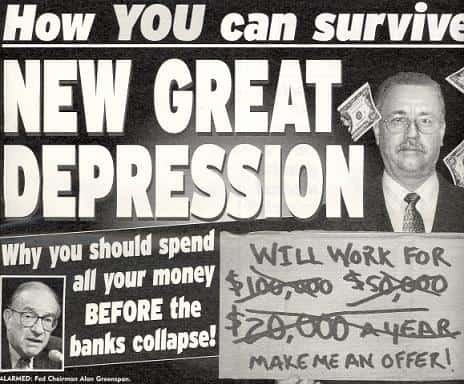 The Great Recession followed, with millions of job being lost. Fears of financial instability never seem far away, even in good times. This alarmist cover from the US tabloid newspaper, Weekly World News, dates from 20 August 2002. In all bank crises – and there have been thirty since 1985 – bank capital is the bulwark that stands between citizens and big financial losses. “One of the main reasons the economic and financial crisis became so severe was that the banking sectors of many countries had built up excessive […] leverage. This was accompanied by a gradual erosion of the level and quality of the capital base.” (BCBS 2010, page 1). The bail outs and recessions that followed the crisis have so far cost EU citizens EUR 2.4 trillion (source: Citizens’ Dashboard of Finance). That works out at an average cost of EUR 11k for every household in Europe. Worse than that, millions of workers lost their jobs in all sectors of the EU’s economy. Bank capital is one of several ways for banks to fund themselves, alongside deposits and other sources of funding, such as the sale of bonds to investors on the capital markets. In banks terms, ‘capital’ consists mainly of bank equity and undistributed profits. Unlike, for example, debt funding, capital can easily absorb losses and therefore helps to protect banks from insolvency. A bank with insufficient capital can easily go bust if it suffers large losses. It is important to note that capital is a form of funding and is not the same as ‘bank reserves’ (for more on this common confusion, see the section below “Mind your language” in Part 2). The following section uses bank balance sheets to show why capital is important. Most people think of loans as a liability, because a loan is something you have to repay. But for banks, a loan is an asset. This is because it gives the bank a claim over you, the borrower, who must pay interest and repayments of principal to the bank. The more banks lend, the more assets they have and the more profits they can make. 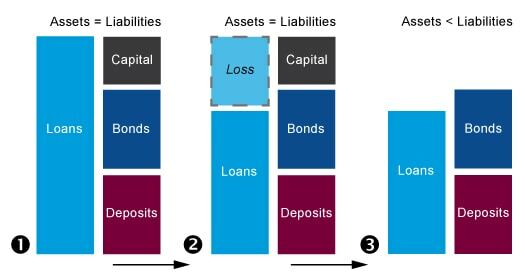 Banks have other types of assets, and together these make up the asset side of a bank’s balance sheet, shown on the left in the diagram 2 below. The way these assets are funded is shown in the right hand column. Banks use money from different sources, for example deposits from customers, selling bonds to investors, or borrowing money from other banks (e.g. in the so-called interbank market and/or ‘overnight repo market’) to fund their assets. All these investors and depositors have a claim on the bank to get their money back and often to receive some kind of interest payment from the bank. The bank therefore counts these funding sources as liabilities. To understand why capital is important, let’s look at what happens when a bank suffers a big loss. A bank’s assets must always cover its liabilities otherwise it will be insolvent and will not be allowed to continue operating. In a solvent bank, the two columns above will be the same size. But if some of the loans the bank has made turn bad, the bank will have to write down its assets – the left column will shrink. To keep its assets and liabilities in balance, it must then write down some of its liabilities – so that the right column can shrink by the same amount. Bank equity holders are first in line to absorb losses. So, if the bank has enough capital to absorb the losses; it simply marks down the value of its equity (an accounting step that reduces the value of the bank’s shares) and any retained earnings until the losses are fully absorbed and the two sides are in balance again. 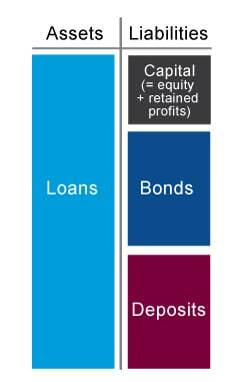 In diagram 3 below, the bank starts with a reasonable quantity of capital at step 1. In step 2, it suffers a large loss on its assets, for example, a wave of mortgage defaults after a housing crash or an interest rate rise. In step 3, it reduces its assets in the left column by the amount of the loss, and to absorb these losses it also reduces its capital in the right column by the same amount. By the end of the process, the bank has used up its capital absorbing the loss but it is still solvent – just. This means it can continue operating and can now focus on rebuilding its capital against future losses. But it would be a different story if the bank had too little capital. In diagram 4, the bank suffers a bigger loss. As the loss is bigger than its capital, all of the bank’s capital is used up and it still has not absorbed the full loss. The column on the right is now bigger than the one on the left; the bank is insolvent and will not be allowed to operate. The bank will have to use its other liabilities to absorb the remaining losses, which means telling its creditors, including depositors and other banks that have lent to it, that they may not get all their money back. This is the moment when the situation can become dangerous and could turn into a bank run or even a systemic banking crisis (NB, retail deposits in the EU are guaranteed up to EUR 100,000 to reduce the risk of a panic in such a situation). For systemically important banks (banks that are so interconnected, complex or large that their failure could bring down the whole system), governments may prefer to use taxpayers’ money to bail out the bank to prevent the panic from spreading, as happened in the global financial crisis. Whether a bank stands or falls after a large loss therefore depends on whether it has enough capital. For a highly leveraged bank, i.e. one with very little capital, even a small drop in asset values can wipe out its thin layer of equity and lead to distress and insolvency. Before the financial crisis, some banks had as little as 1.5% of equity! That is why a major goal of financial reform since the crisis has been to make banks fund themselves with more capital. How is bank capital regulated? Since 1988, the world’s rules on bank capital have been shaped by the “Basel accords” which were agreed by an international committee of bank supervisors called the Basel Committee on Banking Supervision (BCBS), based in Basel, Switzerland. The rules hammered out by this committee, which are adopted by most developed countries, set a minimum level of capital that banks must have as a proportion of their assets. The “Basel III” accord will require banks to have a minimum total capital of 8% of risk-weighted assets, plus various buffers and surcharges that can take it up to 13% for the most systemically important banks when it is fully implemented in 2019. But there’s a catch. This percentage is not applied to the full value of a bank’s assets, as you might expect, but to its “risk-weighted assets”, a number that the bank calculates itself and which for large banks is usually only a half or a third the size of their total assets. To prevent banks getting too carried away with risk-weighting, Basel III also introduced a leverage ratioas a back-up. The leverage ratio is a much simpler tool that measures capital against total assets, with no “risk-weighting”. 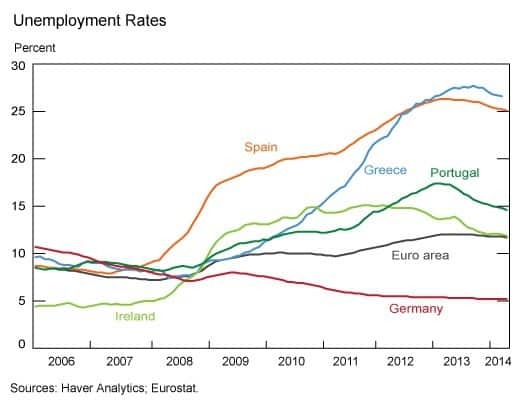 The EU may propose a leverage ratio at around 3% sometime in 2016. Assuming the leverage ratio is implemented at this level without being watered down, EU banks will be restricted to operating with no more than 33x leverage. Will this be good enough? See Part 2 below “How much capital should banks have?” for the answer. 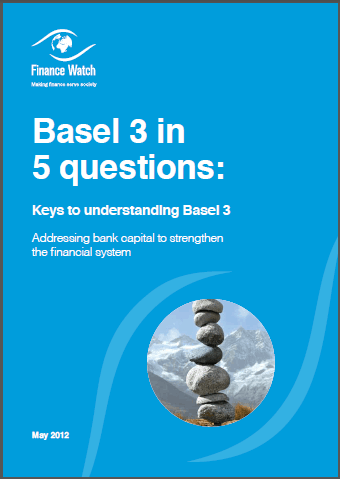 For more on how the EU regulates bank capital, download our jargon-busting guide “Basel III in 5 questions”. FOCUS: If banks create money, why don’t they create their own capital? Some people ask, since banks create money when they lend, why don’t they create their own capital? New bank loans do indeed create new deposits and this is how most of the money in circulation comes into existence (see video below). In accounting terms, a new loan (asset) and a new deposit (liability) balance each other out on the bank’s balance sheet, i.e. at first, the loan funds itself. But when the borrower spends her money, she may take it out of the bank and pay it into someone else’s bank. At that point, the first bank is left with an asset (the loan) but no liability to fund it, so it has to attract other deposits or borrow money itself in the interbank market or from the central bank. This is one of the reasons why banks that expand too quickly can end up with too much leverage. It also explains why banks, in aggregate, create most of the money supply in the economy but, individually, still have to fund themselves. Click here to learn more about this topic. Banks have several reasons to prefer high leverage, or less capital. The first is bankers’ pay. The commonest measure of a bank’s profitability is its “return on equity”, a figure commonly used to calculate bankers’ pay. It is a ratio of two numbers: a bank’s profits divided by its equity. Bankers can improve the “return on equity” either by increasing profits or reducing the equity, or doing both. Reducing equity will mechanically increase “return on equity” even if profits are flat. 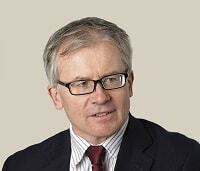 Bank managers therefore have an in-built incentive to cut equity wherever they can. The incentives can be quite compelling. Compare these two graphs: the first one shows how bank leverage rose rapidly in the four years before the crisis (starting in 2004, the year that Basel II expanded the rules on risk weighting, of which more later). 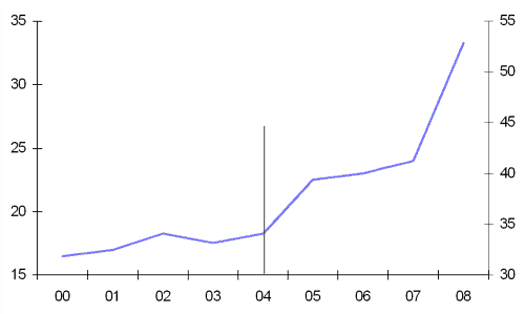 The other shows the level of bonuses paid to people working in the UK financial sector over the same period. 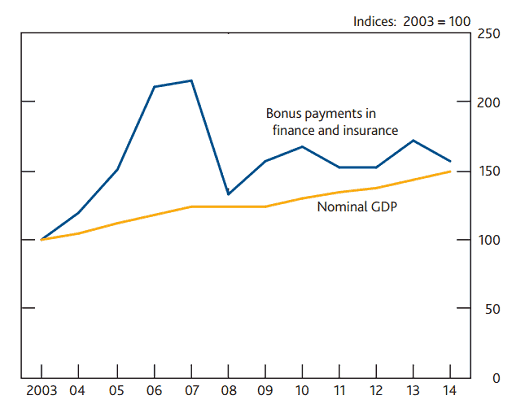 Both measures rocketed upwards in the years preceding the crisis (although bonuses quickly fell when the crisis started). A second reason is that some investors who buy bank debt, for example in the form of bank bonds, expect large banks to be bailed out by the government if they get into difficulty. This ‘implicit guarantee’ acts as an indirect subsidy to large banks by making their debt funding cheaper than it should be. It encourages banks to load up with as much debt as they can instead of comparatively more expensive equity. Thirdly, there is a tax benefit in having more debt funding: interest paid on debt is tax-deductible, while dividends paid on equity are not. The taxman therefore provides an additional subsidy to debt funding. These reasons create strong incentives for banks to lobby against higher capital requirements and against stricter leverage ratios, and to play down the high social costs of being undercapitalised. Click below to download Finance Watch’s cartoon strip about this lobbying (PDF, 5 minutes to read) – written in 2012 but just as relevant today! Before the era of deregulation and financial liberalisation, banks used to hold much more capital than they do today. Many banks were partnerships whose managers experienced the upsides and downsides alike, so it was natural for banks to prefer a bigger cushion of capital. As a matter of fact, it made bankers think twice before betting their family houses. 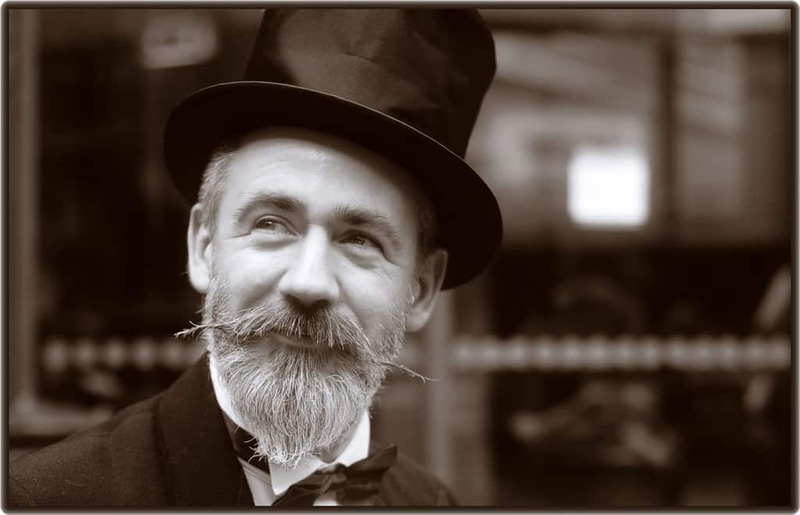 Having 15-20% or more equity was fairly normal a hundred years ago. In 1840, US banks were funded more than 50% with equity. Today, most banks are joint stock companies and their managers are paid well even if the bank gets into trouble. Joint stock companies mean that the liabilities of the bankers are limited to their equity contribution (as opposed to private partnerships with unlimited liabilities on their other assets). In essence, with joint stock companies, bankers are no longer playing with their own money but with “other people’s money”, be it depositors’ money, other debtors or their shareholders. For modern bankers, the upside of taking risks can be bigger than the downside. For example, in 2008 the failing US investment bank Merrill Lynch paid $3.6bn in bonuses to its staff despite suffering losses reported at $27bn as it was being rescued by Bank of America. It really is a case of “heads I win, tails you lose”. This asymmetry is often referred to as “moral hazard”. In recent decades, equity ratios have deteriorated steadily to single digits, falling below 5% and in some cases to 1.5% right before the crisis. They have improved somewhat since then but banks still operate with significantly less capital than they did, and much less than ordinary non-bank companies. In 2013, banks typically funded themselves with only 3-4% equity, compared to around 50% for listed companies outside the banking sector. Haven’t banks got a lot more capital since the crisis? Banks have certainly increased their capital since the crisis, partly to meet new rules and partly to meet the higher expectations of their investors. What do the figures tell us? Let’s start with the official requirements for “regulatory capital”. There are several definitions of regulatory capital, each with different requirements, but we will use the one called “total capital” in this section. 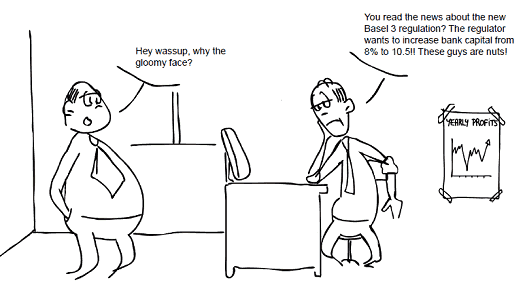 The new Basel III rules require banks to have minimum total capital of 8% of risk-weighted assets. The rules set a target of 11.5 to 13.0% for the most systemically important banks and 10.5% for most other banks, which must all be in place by 1 January 2019. With pressure in the markets to “get there early”, most large banks have already met these new targets. The Bank for International Settlements said in a monitoring report that the average level of total capital among systemically important banks was 13.1% at the end of 2014 (on a fully phased in basis), and slightly more for other, smaller banks. As the chart shows, capital ratios have increased recently and most banks have met the new capital standards already. Job done, you might think. But beware of the illusion! These figures sound high but they are based on capital as a proportion of risk-weighted assets. As described below (see below FOCUS: The magic of risk-weighting), risk-based capital is a very imperfect measure of bank safety. Leverage is a much more reliable guide. 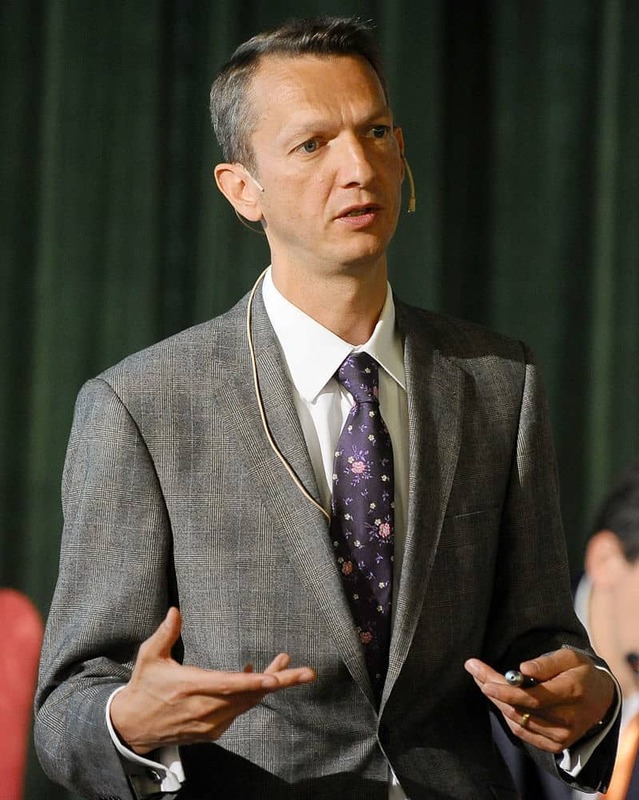 After the crisis, the Bank of England’s then financial stability director Andy Haldane found that the simple leverage ratio had been a much better predictor of actual bank default than the risk-based ratio. An OECD study came to a similar conclusion, that un-weighted leverage was much better as a predictor of default risk. So there has been some improvement, but it is not as great as the headline figures suggest and it is not the great increase in capital safety that some people claim. In Part 1 (“How is bank capital regulated?”, see above), we saw how risk-weighting can allow a bank to meet an official 8% total capital requirement and still operate with less than 3% of its unweighted assets being funded with capital. It is a simple but controversial concept. a “safe” mortgage loan of EUR 100,000 might be risk-weighted at 15% and so adjusted down to EUR 15,000. Applying the 8% capital requirement would give a capital charge for this loan of EUR 1,200 (100k x 15% x 8%). a “riskier” loan of EUR 100,000 to a company with a moderate credit rating might be risk-weighted at 50% and adjusted down to EUR 50,000, giving a capital charge of EUR 4,000 (100k x 50% x 8%). The minimum capital needed to fund these two loans would be EUR 5,200 (1,200 + 4,000). This is only 2.6% of the EUR 200,000 in loans that the bank has made, but the magic of risk-weighting means the bank still complies with the 8% total capital requirement. Abracadabra! Here is why it is controversial: Firstly, risk weighting can conceal high real leverage (which, some argue, is the real reason that banks like risk-based regulation). A bank could have massive holdings of “safe” assets and very little equity and still comply with the rules. In the example above, a loss of only 2.6% would wipe out all of the bank’s equity on the EUR 200,000 of loans, even though the 8% “total capital” requirement had been met. If supposedly safe assets turn out to be giant loss-makers, for example because the bank’s risk models are wrong or there is an unexpected event, the lack of capital could sink the bank. This is what happened in 2007-8 with sub-prime securities that were incorrectly rated as triple A. It could happen again with other “safe” assets. For example, sovereign debt in the Eurozone is still risk weighted at 0% (yes, zero) and EU banks have nearly doubled their holdings since the crisis, according to a report for the European Parliament. Secondly, encouraging banks to lend to “safe” assets and avoid true economic risks that the economy needs to grow can lead to credit misallocation. 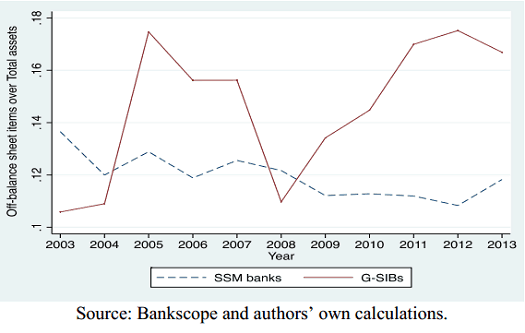 The example above shows how banks are incentivised by the Basel system to lend more for mortgages than for businesses. As most banking crises are linked to real estate bubbles, you can see why this might be a problem. The ability to ‘mark your own homework’ favours big banks over smaller banks, which cannot afford to run expensive risk models. This feeds the too-big-to-fail problem and discriminates against smaller banks. Since smaller banks tend to focus more on the real economy, this worsens the credit misallocation problem. Fourthly, there is model risk. The last financial crisis showed that banks’ risk models were good at predicting predictable risks but bad at predicting unpredictable ones. Of course it is always the events you cannot predict that cause the most damage. Relying on these models is a bit like using life-jackets that have passed a safety inspection on land but won’t work in a storm. “It is now clear that these models often substantially underestimated the likelihood of severe “tail” events and the depth of the damage that they could cause.” Brookings Institution, US think tank. Regulators have acknowledged some of these difficulties and taken a few measures to try and fix them. 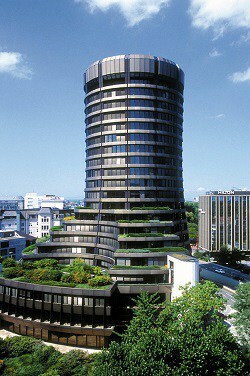 For example, in January 2016, the Basel Committee on Banking Supervision announced a handful of modest improvements to the way that banks’ trading divisions must account for their capital: among other things, the internal risk models used on some trading desks will have to pass tougher scrutiny by supervisors, and risk models will have to be better at capturing unpredictable events (“tail-risk”) than before. 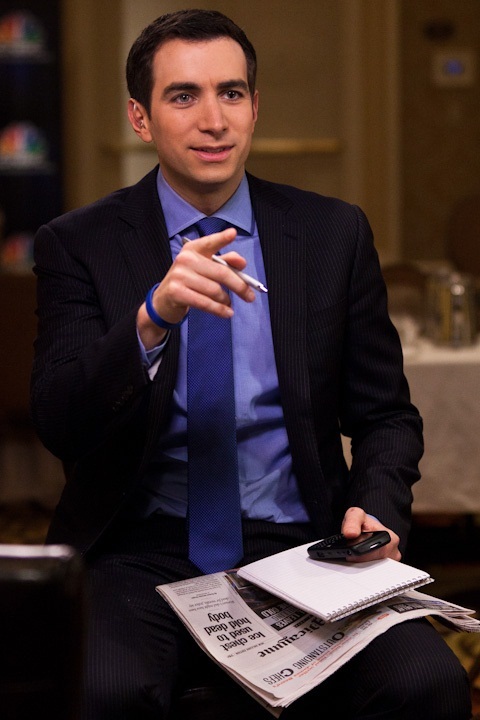 But the basic concept of risk-weighted capital regulation remains unchallenged. With all these problems, it is no surprise that risk-based capital requirements have a terrible track record at predicting bank failure. How terrible? Lehman Brothers had a Tier 1 capital ratio of 11% days before it went bust, and Dexia was on track for 10.4% (fully loaded for Basel III) only three months before going into resolution. That’s pretty close to the new Basel III minimum. Before the crisis started, the levels of regulatory capital at banks that got into difficulty and those that did not was almost identical. Bank of England director Andy Haldane concluded that “regulatory capital ratios do about as well in predicting crises as a coin toss”. Looking at the risk-based capital requirements, capital requirements were absurdly low before the crisis. The Basel Committee on Banking Supervision wrote in 2010 that under Basel II “banks could hold as little as 2% common equity to risk-based assets”. Bear in mind that 2% of risk-weighted assets translates to 1% or less of total assets. In that case, a loss of only 1% of a bank’s assets could make the bank insolvent! Basel III tightened the definitions and lifted the requirement for total capital to between 8% and 13% of risk weighted assets. Is it enough? No. 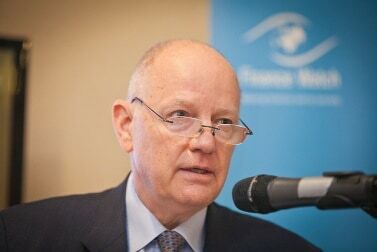 The IMF’s researchers crunched the numbers and found that, in their most conservative estimate, banks would have needed capital equivalent to 18% of risk-weighted assets to absorb shocks of the size seen in OECD countries over the last 50 years, significantly above the new Basel III requirements. These studies suggest that regulators should lift capital requirements above the Basel III levels. The biggest banks need very little capital in good times but, as the Bank of England noted, they need far more in a system wide stress. So far, the official answer to this problem has been to make troubled banks spread additional losses among firms that lent it money, a process called “bail-in” of creditors (a note on the jargon: a “bail-in” transfers losses to a bank’s creditors, while a “bail-out” transfers losses to taxpayers. Bail-ins are supposed to avoid the need for bail-outs). The “bail-in” solution assumes that the firms being bailed-in can absorb these extra losses without getting into trouble themselves and spreading the panic. This is an optimistic assumption, given that many banks have similar exposures and are highly interconnected with each other (for more on this problem follow this link). 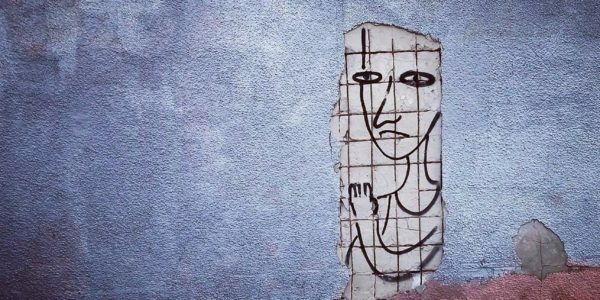 As long as bail-in cannot be relied on, banks should have much higher equity requirements than if they were small enough and unconnected enough to fail. Turning to simple leverage, the message is the same. 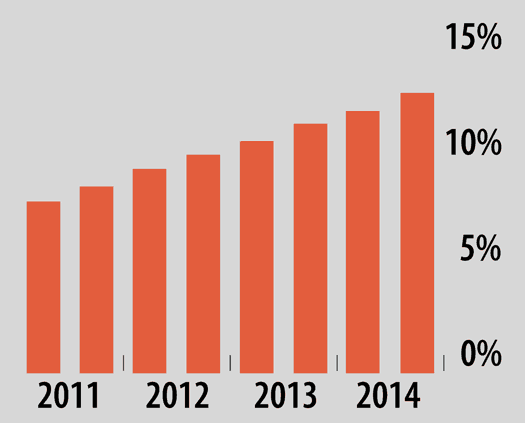 The Basel III proposal for a 3% leverage ratio will allow banks to be 33x leveraged. This would allow banks to be funded 97% in debt, so that a mere 1% decline in asset values would leave a bank 50x leveraged and a 3% decline would make it insolvent. Even a small increase in the proposed leverage ratio could bring a big improvement. The ECB has estimated that for a bank that is 33x leveraged (i.e. has only 3% equity), having to meet a leverage ratio of 5% would be around twice as beneficial as the 3% proposal, in terms of reducing the bank’s probability of distress (ECB, table A.3). In 2012, Finance Watch recommended that the EU should set the leverage ratio at 5% (based on gross assets without netting of derivatives). The OECD also recommends setting a leverage ratio at 5%, enough to catch the dangerous outliers. Some commentators have recommended far higher levels of equity. 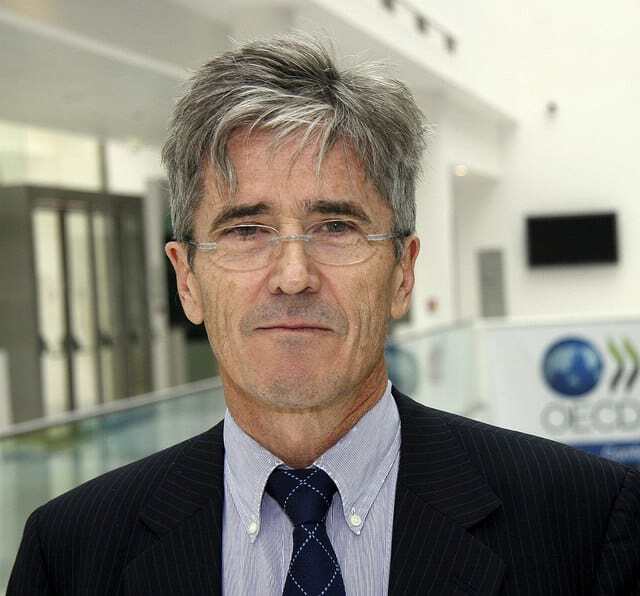 Robert Jenkins, former member of the Bank of England’s Financial Policy Committee , argues for a leverage ratio up to 20% (Let’s make a deal, July 2012). 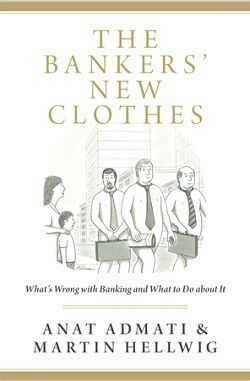 Anat Admati and Martin Hellwig, co-authors of an excellent and very readable book on bank capital, The Banker’s New Clothes, also make a convincing case for banks to have equity of 20-30% of unweighted total assets. Before the crisis, banks used off-balance sheet vehicles to get around capital requirements, transferring assets and risks to ‘commercial paper conduits’ where they would not have to count towards their capital, even though the bank remained ultimately responsible for them. This allowed a lot of risk to be hidden. Of course it did not stay hidden for long when the crisis struck! 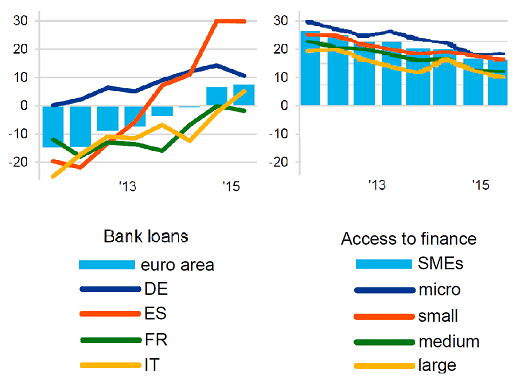 Worryingly, recent ECB data suggest that EU banks are doing the same again. A June 2015 European Parliament report says: “The resurgence of off-balance sheet exposures of the largest banks after the crisis suggests that such exposures still are an effective mechanism for these banks to arbitrage capital adequacy regulations”. Let us hope that a resurgence of off-balance sheet exposures, together with the revival of securitisation and other pre-crisis trends, does not lead to history repeating itself. A common misconception is that bank capital is somehow ‘set aside’, as if money used to meet higher capital requirements were somehow not available to use in the economy and stored in a vault. In fact, the opposite is true. Just as companies use money from their shareholders to hire people and invest in plant and machinery, banks use their equity to fund their lending and other activities, including the ones that help the economy. The misconception may result from a confusion between two technical terms: ‘bank capital’ and ‘bank reserves’. They are sometimes – wrongly – used interchangeably but in fact they have very different technical meanings. 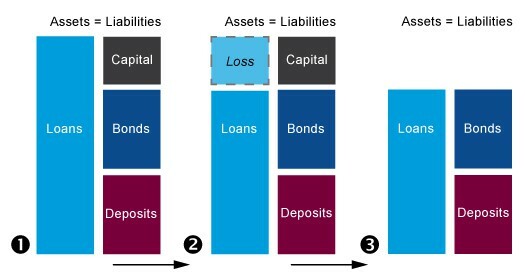 In accounting terms, capital is a ‘liability’ while reserves are an ‘asset’. For regulators, capital guards against solvency risk, while reserves guard against liquidity risk. If you are none the wiser after reading that, you will see why these terms often get mixed up! So what else do these terms mean? ‘Capital’ means a source of bank funding that the bank has not borrowed. Typically, it includes equity (i.e. the bank’s shares) and any profits the bank has retained. Because capital does not have to be repaid, it is perfect for absorbing losses, which is why regulators set minimum capital requirements as a safeguard against bank insolvency (insolvency is when a firm’s asset are worth less than its liabilities, which can make it illegal for the firm to continue operating). ‘Reserves’ means cash in a bank’s vaults that is used for day-to-day customer withdrawals, and money that the bank keeps at the central bank to settle payments with other banks. As banks find it easy to get their hands on reserves and other liquid assets at short notice (unlike money that the bank has lent out), reserves are very useful for protecting a bank from a surge in withdrawals, which is why regulators set minimum liquidity requirements to guard against this risk. For banks, liquidity risk means having enough money ready and available to meet demands from customers and investors. With central banks on stand-by to act as liquidity providers of last resort, pure liquidity problems are usually temporary and easy to solve – as long as solvency is not also a concern. In the financial crisis, solvency was the main problem. While it was liquidity problems that triggered failures as banks ran out of money to meet demands from worried depositors and investors, the reason those creditors wanted their money back was fear that the bank might be insolvent. Lack of liquidity was the effect and lack of capital was the cause. Unfortunately, plenty of people get capital and reserves muddled up. It does not help that the term ‘reserves’ can have more than one meaning: it can sometimes be used to describe parts of a bank’s capital, such as retained earnings, as distinct from a bank’s reserves at the central bank. Some even talk about ‘capital reserves’; no wonder there is confusion about the role of bank capital. 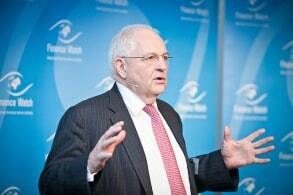 Much regulation was introduced after the crisis, and several pieces are still to come. In relation to bank capital, the slightly higher capital requirements of Basel III (the risk-based ones) have been mostly implemented in the EU via the Capital Requirements Regulation and Directive (known as “CRD IV”), and work on the modest leverage ratio proposal from Basel III is scheduled to start in 2016. These arguments seek to exploit the misleading idea that strong capital rules are bad for the real economy, when in fact they are bad for bank profits. Other opportunities to push back against new capital rules include the European Commission’s consultations on securitisation, covered bonds, on the EU’s regulatory framework for financial services, and a consultation from the Basel Committee on Banking Supervision about how banks’ trading books are regulated, among others. It is understandable that firms which profit from high leverage would argue against higher capital requirements when they can. After all, banks lobby for their own interests, not those of society. However, policymakers should remember that the financial crisis is the real cost of undercapitalised banks. It is disappointing that we hear the same old myths about bank capital being revived so soon after the crisis. 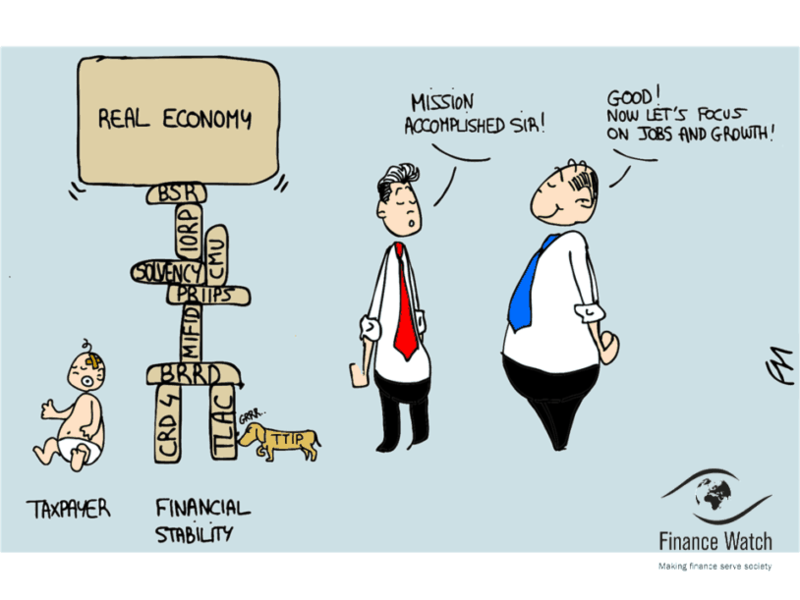 What is the impact on the real economy? At the end of the famous Aesop fable, The Boy Who Cried Wolf, the boy who shouted false warnings about wolves was eventually left to face a real wolf on his own. There seems little chance of too-big-to-fail banks being left to the wolves, but perhaps the story may be relevant to lobbying on bank capital? There are some nuances to the story. 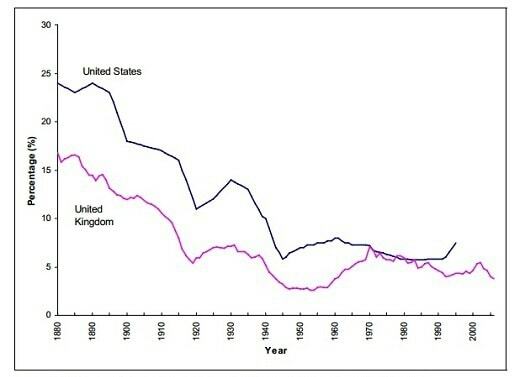 A 2014 study by researchers at the IMF and Bank of England found that higher capital requirements did in fact lead to a small reduction in lending but only for a temporary period, and the impact of this on GDP was statistically insignificant. Another study by the Bank of England’s David Miles from the year before concluded that the economic costs had been greatly exaggerated. 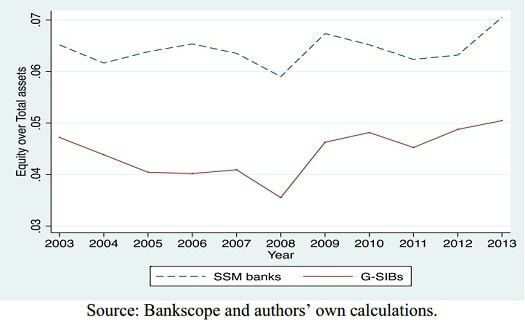 A 2014 Bank of England analysis of how increases in capital requirements had affected lending by UK banks between 1990 and 2011 also found that, after an initial drop off, loan growth had mostly recovered within three years. Taken together, these studies suggest that the financial industry lobby claims, while not wholly wrong, were either greatly overstated or had alternative explanations (such as Eurozone fragility). With capital regulation now under review again, it is important that policymakers remember this so they can put new ‘cries of wolf’ in perspective. A recent such ‘cry’ from the European Banking Federation said that “increased capital requirements reduced lending capacity of banks”. The studies above suggest that this may be true for some banks in some circumstances, but mainly for undercapitalised banks during their transition to higher capital and with limited impact on the real economy. It does not change the massive overall benefits to society of having much better capitalised banks. Empirical evidence also shows that there is no link between the cost of bank loans and the level of bank leverage, and no link between bank leverage and GDP growth, as Finance Watch noted in its 2011 evidence to the European Parliament. Arguments that suggest highly leveraged banks are good for the economy should therefore be taken with a large pinch of salt. As it turns out, the principal complaint of businesses in this survey was a lack of aggregate demand and competitive pressure – factors that are unlikely to be remedied just by increasing the supply of loans. This amply illustrates how the perception of “cause and effect” differs between the banking lobby and those working in the real economy. Finally, banks with more equity are likely to make better lending decisions. Anat Admati says that a bank with 25% equity, for example, would make better lending decisions than one with 5% equity; because it is less likely to over-invest in excessively risky loans, and less likely to under-invest because of debt overhang. What difference would stronger capital rules make? Contrary to the bank lobby’s view, stronger capital regulation will not penalise banks but will help banks to return to sustainable long-term value creation. 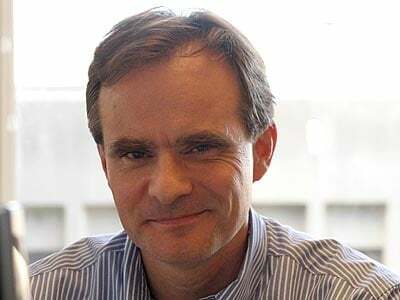 Some shareholders may enjoy the high, risk-unadjusted returns they get from highly leveraged banks in good times, but this approach is a gamble that the risks will not materialise. It is effectively a bet that their shares will not be wiped out in a crisis, or will somehow be bailed-out. In the long term, investors also have to prepare for the bad times, and as IMF research has shown, in the last crisis the share price of big banks with more capital performed much better than those with less (IMF 2010). If you ask shareholders and customers these days, it is likely that most would rather have strong banks that survive and make steady profits than fragile banks that do extremely well for a while and then go bust or need rescuing. If regulation can also ensure that finance refocuses on its core purpose of allocating capital to productive use in the real economy, it should benefit everyone, from financial system stakeholders to society at large. Bank capital has increased since the financial crisis by a modest amount from a very low level. But it is still too low. And it is still mainly regulated using a risk based approach that has major flaws. As policymakers reflect on the new capital rules they have introduced, banks are using this moment to try and weaken the rules in a number of areas. The arguments used against higher capital when capital requirements were raised after the crisis, have proven to be wrong or greatly overstated. Yet the same arguments are being used again. As memories of the financial crisis start to fade, we must keep hold of the main lesson from that crisis – that banks do best for society when they have more capital. Not less.